The latest issue of Libraries: Culture, History, and Society (v.3, #1) contains a timely article from associate professor Joyce M. Latham. Just in time for National Library Week (April 7 – 15) Latham’s investigation of the history of early public library development has been published. Oblique Politics: Julia Wright Merrill and the Public Library Extension Committee, 1925–1946 (pp. 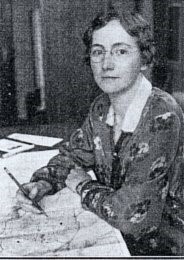 52-71) recounts the efforts of Julia Wright Merrill as secretary of the Public Library Extension Committee (now the Public Library Association) to expand the impact of books and reading into primarily rural areas in the first half of the 20th century. It is a sequel to her article “Clergy of the Mind: Alvin S. Johnson, William S. Learned, the Carnegie Corporations, and the American Library Association” (2010), which won the Justin Winsor Award for library history research. Both articles detail the struggles and strategies that background how public libraries would or could serve their communities. Latham believes in the public library as a political institution. Her many years working in public libraries certainly exposed her to the reality of it, and that background has informed her approach to her research. Drawing on theoretical frameworks associated with political science, her study of Merrill and the Public Library Extension Committee (PLEC) demonstrates how the first wave women’s movement influenced the political strategizing of early librarians. As the PLEC was launched just five years after white women earned the right to vote, it was reasonable for the female-intensive profession to expect similar success with their interest group organizing around access to information resources. It took quite a while, however, to achieve the objective of national funding for libraries. But, achieve it they did. “Oblique Politics” also informs our understanding of the development of public library systems, the centrality of the Midwest in the expansion of public library service, and the impact of dedicated effort. Merrill didn’t write much beyond studies and reports, but the archival record she left behind of her efforts provides significant insight into how public librarians collaborated to emphasize a commitment to “access for all” and developed the foundation for an effective political strategy for libraries. Latham, Joyce M. “Oblique Politics: Julia Wright Merrill and the Public Library Extension Committee, 1925–1946.” Libraries: Culture, History, and Society, vol. 3, no. 1, 2019, pp. 52–71. JSTOR, www.jstor.org/stable/10.5325/libraries.3.1.0052.